Late 1860s – Atlanta residents began visiting the springs in John Armistead’s beech grove two miles east of town., approximately 50 yds. south of the intersection of Ponce de Leon and the Atlanta Beltline. 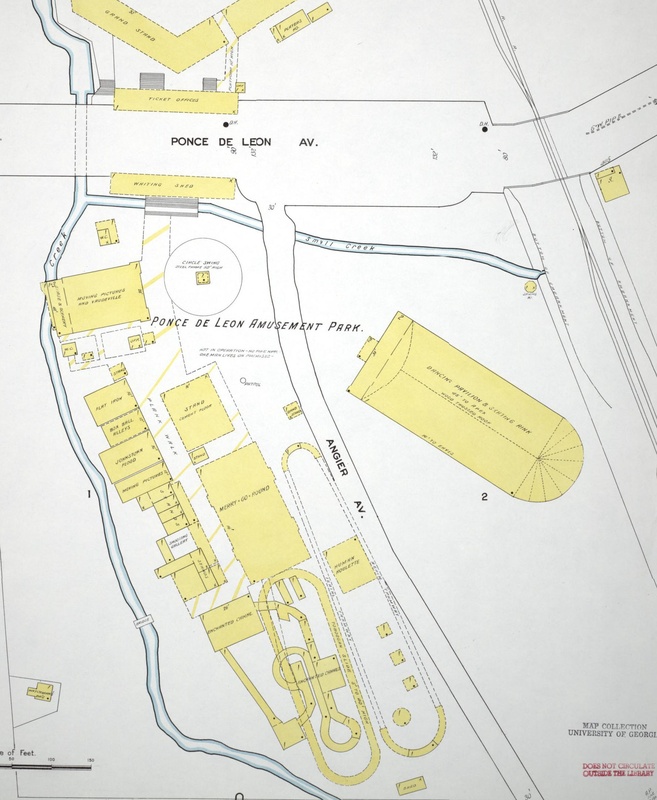 An Atlanta physician named the springs “Ponce de Leon Springs,” based on his assertion that the water held rejuvenative properties. 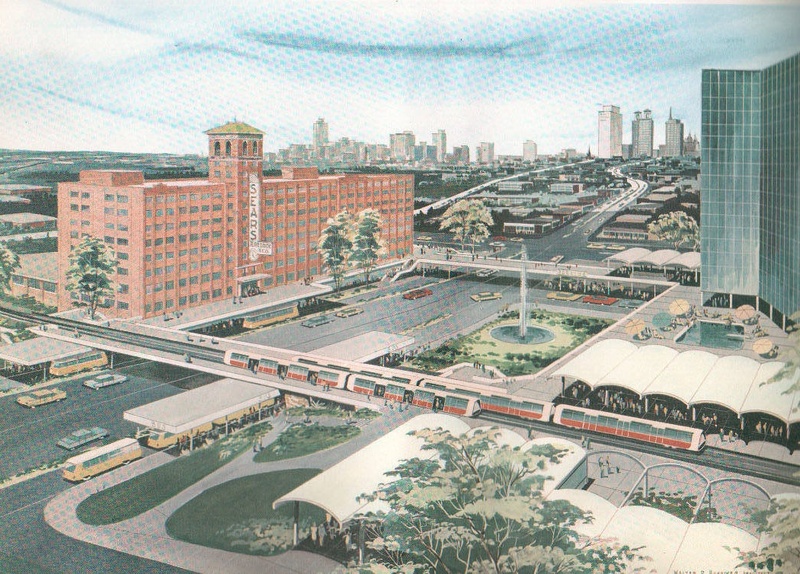 Soon, an omnibus carried passengers daily from Atlanta to the springs for a 10-cent fare. 1874 – A new City charter establishes Atlanta’s Fourth Ward, extending to the northeastern city limits, bounded by West Peachtree to the west and the Georgia Railroad tracks to the south. 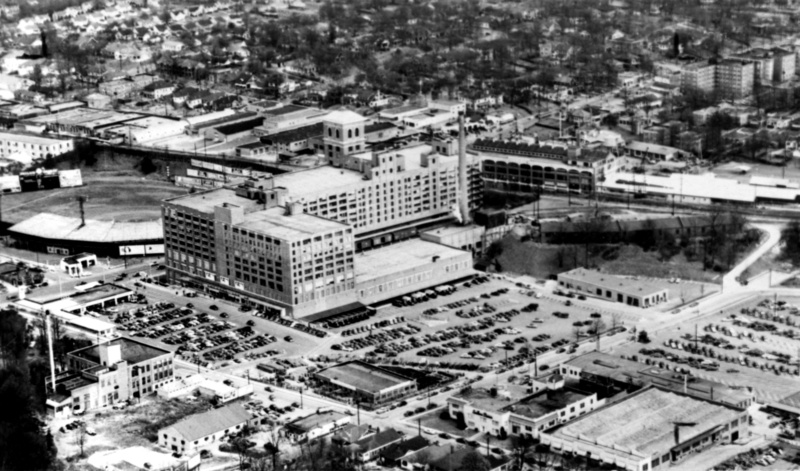 The term “Old Fourth Ward” dates to 1937, when the state legislature reduced the number of city wards from 13 to 6, combining old wards into new ones. The “old fourth ward,” became part of the new 5th Ward. 1954-the ward system ended with the creation of a Board of Aldermen, which lasted until the City Charter of 1974, which created the current Atlanta City Council. 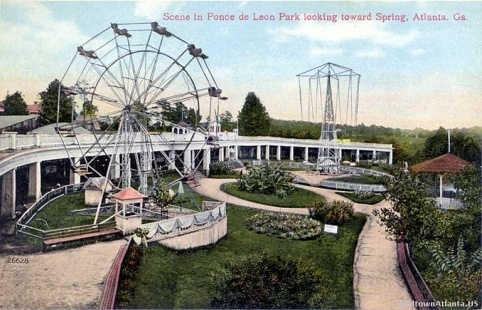 1903 – The Ponce de Leon Amusement Park opens, on the site of what would become the Sears building and Historic Fourth Ward Park.The park featured a casino, theater, merry-go-round, “Cave of the Winds,” penny arcade, two restaurants, and many more attractions. 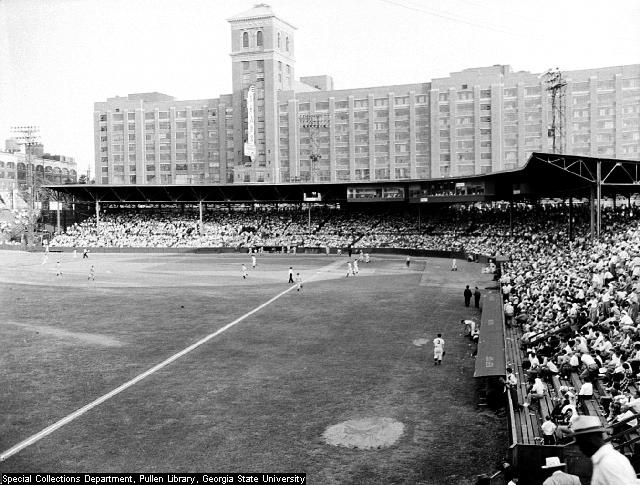 1907 – The Ponce de Leon Ballpark opens, in what is now the Midtown Plaza shopping center, to host the Atlanta Crackers, who played there until the 1960s. 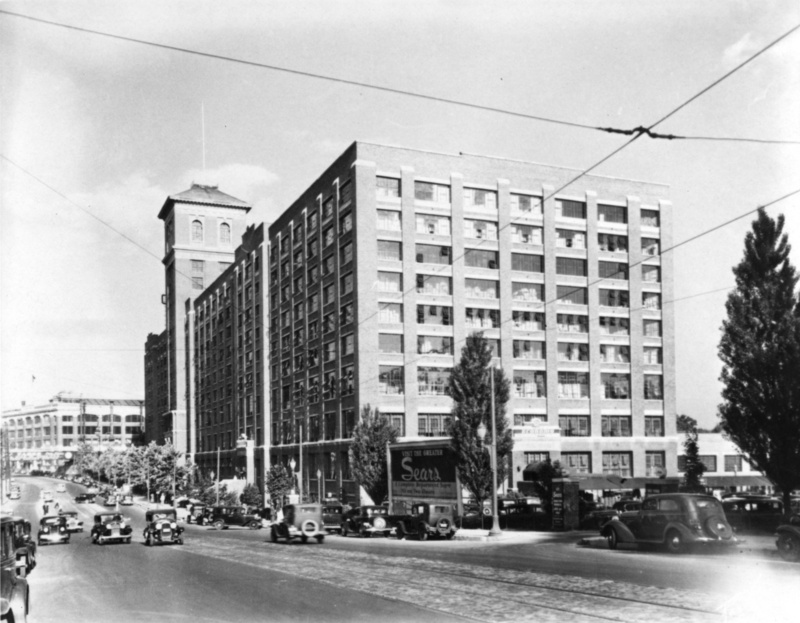 1928 – Sears Roebuck builds its Southern Regional Distribution Center on Ponce de Leon, then and still, the largest brick building in the Southeast. 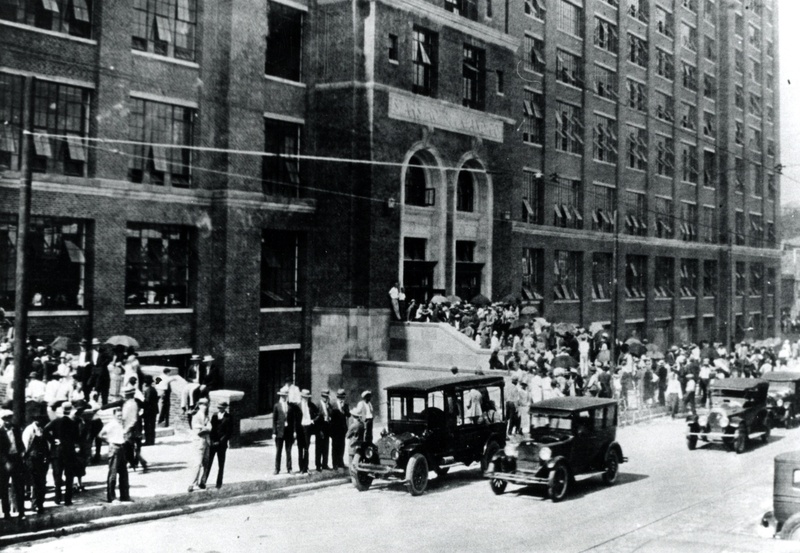 1989 – The Sears Roebuck building is purchased by the City of Atlanta and re-christened City Hall East. 1999 – The City of Atlanta agrees to a federal consent decree to fix its chronic sewer overflows and other waste treatment problems. The city proposes a 15-year, $3 billion overhaul of the city’s sewer systems. 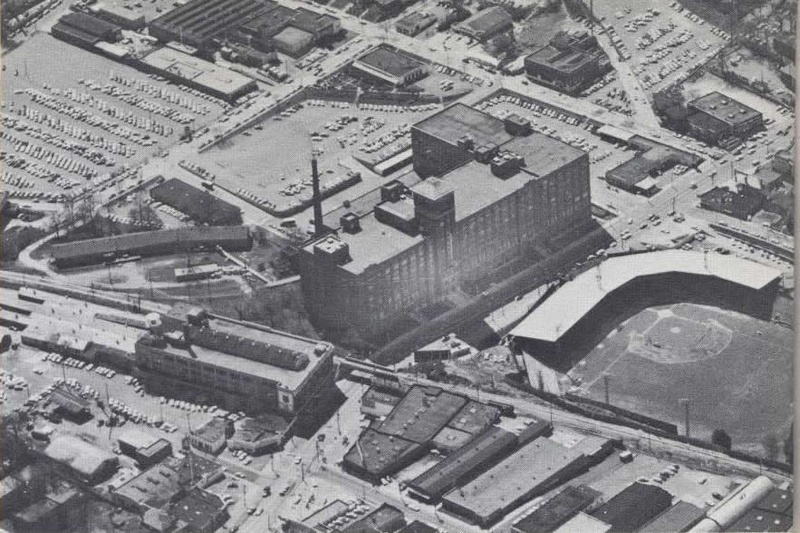 At the time, the Clear Creek basin area, directly south of the Sears Building, is a brownfield of abandoned warehouses and parking lots, which flood with increasing regularity, as do buildings to the north of the basin area. 2003 – Bill Eisenhauer, a storm water activist, convenes a group to discuss storm water issues in Old Fourth Ward, particularly in the Clear Creek basin. The group develops a concept plan, showing a 35-acre park with a sustainable storm water detention pond as its central amenity. 2006 – The City establishes the Atlanta BeltLine, Inc., to create a 22-mile transportation/recreation corridor that will encircle Atlanta’s downtown. 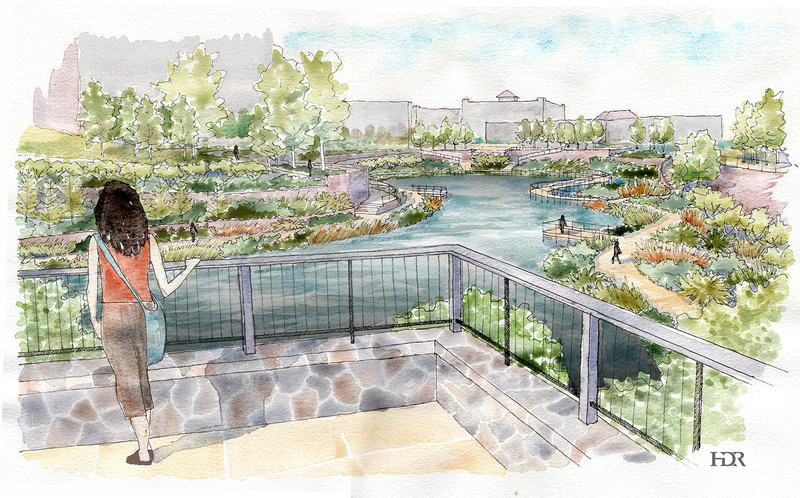 ABI establishes plans for a number of parks as part of the project, including the 17.5 acre Historic Fourth Ward Park. 2011 – City Hall East is sold to Jamestown Properties, who developed the property, renamed the Ponce City Market, as a mixed-use development of retail, office, condos and apartments, which opened in 2014. 2012 – The Atlanta Beltline, Inc., completes Historic Fourth Ward Park, the first major city park on the BeltLine. 2005 – The Trust for Public Land secures ten acres of land and begins work on another seven. The purchases are the first acquisitions made for the Atlanta BeltLine project. As this was taking place, Mayor Shirley Franklin formed the BeltLine Coalition, and the Tax Allocation District funding for the Beltline was passed at year’s end. 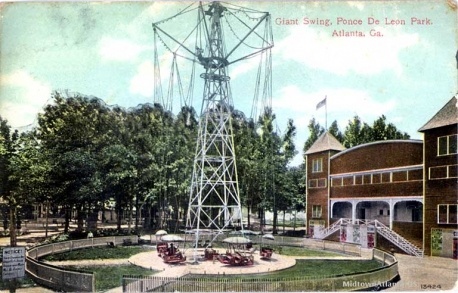 This enabled the as-yet-unnamed Park to be slated as the first new Atlanta BeltLine park. 2007 – A planning group consisting of twelve development entities with interests in the park area form the Park Area Coalition. PAC works closely with the Atlanta Beltline, the city, the adjacent neighborhoods, architects, and city planners to continue planning for the park. Through PAC’s efforts, the Woodruff Foundation pledges $8 million for land acquisition for the Park. 2008 – The Historic Fourth Ward Park Conservancy is formed as the non-profit support arm for the park. The Conservancy’s mission includes developing, enhancing, and maintaining the park. 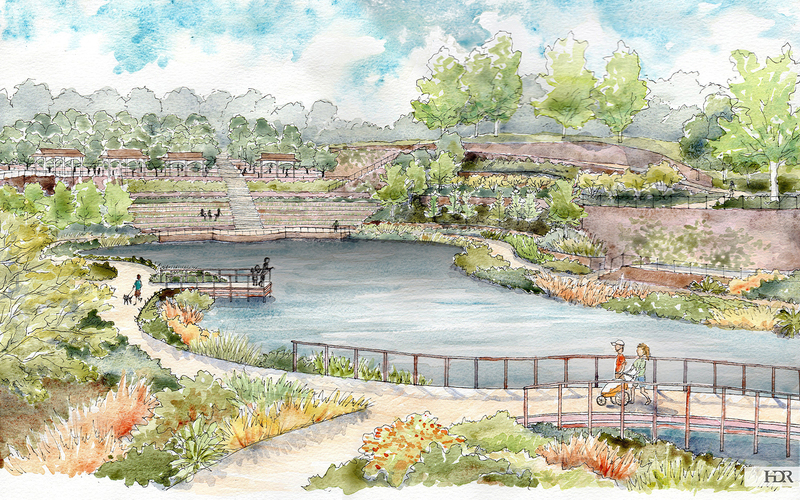 2009 – The Atlanta Beltline, Inc., begins construction of Phase I of the park, which includes the 2.5 acre Clear Creek Basin, and amphitheater. 2011 – Phase I is completed and opens to the public. Construction begins on Phase II, which includes a splashpad, playscape and skate park. 2012 – Phase II is completed.